Are you ready for some Miami football in NY/NJ? The Miami Dolphins head north to take on the New York Jets for their home opener on September 16! 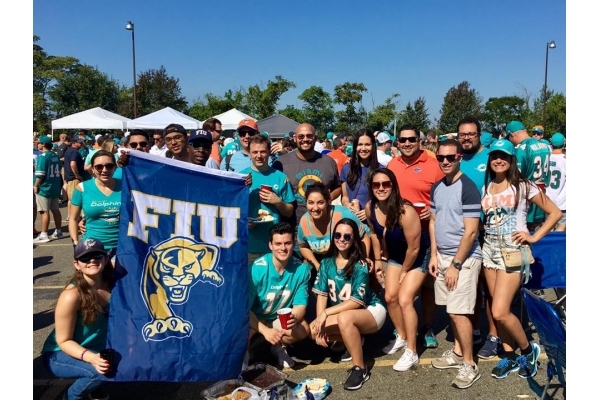 Head to MetLife Stadium to join fellow FIU alumni, friends and family from New York, New Jersey and Connecticut at our second annual FIUNYC Alumni Day! Prior to kickoff, be sure to attend our tailgate in the Metlife Stadium parking lot. We'll have food and drinks, a DJ, giveaways and lots of surprise guests! It's an event you won't want to miss! Full details will be emailed as we get closer to game day.